Indian Accent, New Delhi-flagbearer and undisputed champion of modern Indian cuisine, has found a proud place in the World’s Greatest Places announced by Time in its first annual list which highlights 100 destinations that are breaking new ground, leading industry trends and offering visitors an extraordinary experience. Hailing one of the most elite eateries in the national capital, the list gives glowing tribute to the restaurant. 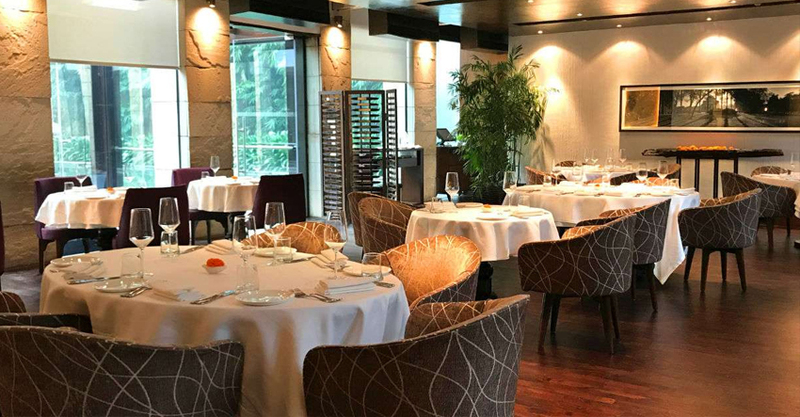 “New Delhi standard bearer Indian Accent has made to Asia’s 50 Best Restaurants list for six years running, thanks to chef Manish Mehrotra’s inventive Indian cuisine—think pulled-pork phulka tacos, blue-cheese naan and galautis stuffed with foie gras. Now the brand is going global: its New York City outpost debuted to rave reviews in 2016, and last year a third Indian Accent opened in London,” writes Time journalist Joseph Hincks who reviewed Indian Accent, New Delhi as one of nominations. To create the list, Time solicited nominations across a variety of categories including museums, parks, restaurants and hotels, from their editors and correspondents around the world, as well as dozens of industry experts. The magazine evaluated each one based on several key factors- quality, originality, innovation, sustainability and influence. The result is a list as diverse as the world it reflects, with entries spanning six continents and 48 countries. Meanwhile, the news has everyone from Indian Accent, elated and in celebratory mood. Manish Mehrotra, Corporate Chef, Indian Accent Restaurants said, “All of us are thrilled with this news. It came as a pleasant surprise as we were not aware who came and ate at the restaurant, or when we were reviewed for this list. This is a validation of our belief that at Indian Accent every guest is special. It is only when you work with this conviction and ethic for each and every meal, that you can achieve such recognition.” Rohit Khattar, Chairman, Old World Hospitality on his part felt very humbled to have made it to the coveted list as the only restaurant from India. Indian Accent showcases inventive Indian cuisine by complementing the flavours and traditions of India with global ingredients and techniques. Chef Manish’s menu reinterprets nostalgic Indian dishes with an openness towards global techniques and influences. The original restaurant in New Delhi opened in 2009 at The Manor, New Delhi to significant acclaim for its path breaking approach to contemporary Indian food. It moved to the Lodhi in 2017. In the past, it has won several awards and global recognition, including being the only restaurant from India on the World’s 100 Best list since 2015 and being awarded the Best Restaurant in India by Asia’s 50 Best for last 4 years. It opened in New York in 2016 and in London in 2017 to critical and popular acclaim.